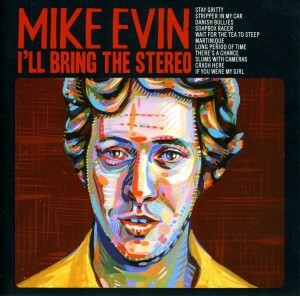 In 2005 producers Jim and Andy Creegan asked me to track guitars on a CD for Montreal songsmith Mike Evin. “I’ll Bring The Stereo” was a terrific album full of memorable pop tunes with tons of craft, chops, creativity and humour. I ended up doing a portrait of Mike for the cover art. This Wednesday I’m joining Mike, Jim, drummer Max Senitt and folk legend Brent Titcomb to revisit the material for a one-off gig at Musideum – the most unique music store in the country. 401 Richmond Building at 8pm. NEXT: Joe Boyd just emailed me!